New Naitasiri coach Ilaitia Tuisese Junior. 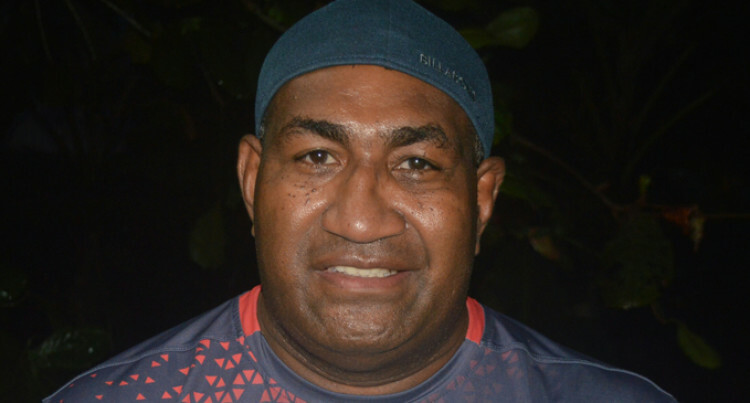 Ilaitia Tuisese Junior is the new coach of the Naitasiri rugby team for 2019. The former Flying Fijians forward replaces Koli Sewabu who is now the Fiji Rugby Union development manager. He aims to win the Skipper Cup Premiership and defends the HFC Bank Farebrother Trophy. “I’m looking forward on taking the team forward from where we left off last year,”he said. “And with almost a third of our first line players joining the disciplined forces (Army, Navy and Fiji Corrections) early this year, we have our work cut out for us. “We will keep breeding our players who are coming through our system like we have been doing in the last 20 years and hope that they will all become much better rugby players than when they first started with us. “Winning the Farebrother trophy last year was no easy task and retaining it this year will be much harder. So it asks for a lot more sacrifice from the boys and our coaching staff. The following players to be at the FRU HPU Gymnasium today at 4pm to start work with strength and conditioning trainer. 1 Mosese Ducivaki, 2. Solomone Navuso, 3 Sailasa Raisuqe, 4 Tubale Moceituba, 5 Seremaia Naureure, 6 Jone Naqiri, 7 Vili Raiciuciu, 8 Jone Vatukela, 9.Jo Veitayaki, 10.Eroni Mawi, 11, Sikeli Serukalou, 12. Nacani Nawaqadau, 13. Joseva Tawake, 14. Koli Namaralevu, 15 Vatiliai Matakaca, 16. Eveli Tuisese, 17.Vetaia Tiko,18 Lekima Ravuvu, 19. Api Bogidrau, 20 Maciu Vakacabeqoli, 21 Jo Navualiku, 22 Inoke Tuisese, 21 Sireli Kaloucava, 22 Avenai Rkotuni, 23 Adriu Navia, 24 Benjamin Makutu, 25 Frank Lomani, 26 Misaele Yacavata, 27.Kini Douglas, 28. Jeke Sauturaga, 29 Tomasi Cama, 30 Livai Ikanioda, 31 Meli Rigamoto, 32 Osea Naisau, 33 Vilikesa Qio, 34 Jo Nakaira, 35 Paula Tiko, 36 Ron Tawake, 37 Tomasi Sivo, 38 Timoci Senati, 39 Sakeo Raloa, 40 Seva Suguturaga, 41 Samisoni Tuinasau, 42. Waisale Sewabu.